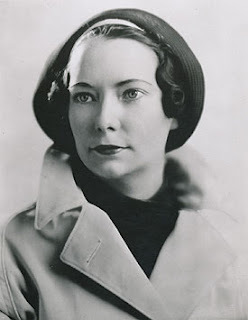 Margaret Mitchell (1900-1949) was born to a wealthy family in Atlanta, Georgia. The only daughter of an attorney and a suffragist in the Deep South, Mitchell’s upbringing was an unusual one. For instance, after an accident when Mitchell was three, her mother had her start wearing boy’s clothes and she took up the nickname “Jimmy.” This lasted until she was fourteen. She attended Washington Seminary in Atlanta, an exclusive girl’s school, from 1914 to 1918. After graduating, she became engaged to army lieutenant Clifford Henry, who was killed in action later that year. In January 1919, her mother died of the flu. In 1922 she married Berrien Upshaw. The marriage lasted only two years and was by no account a happy one. Upshaw ran out less than a year into the marriage, providing further impetus for Mitchell to pursue her own career, in this case, journalism. She began writing for The Atlanta Journal at the end of 1922. In 1924, she divorced Upshaw and married John Marsh. In 1926, while recovering from an injured ankle, Mitchell began writing Gone with the Wind. The novel was published in 1936 and became one of the best selling novels in American history. Mitchell was hit by a car in 1949 and died in the hospital five days later. 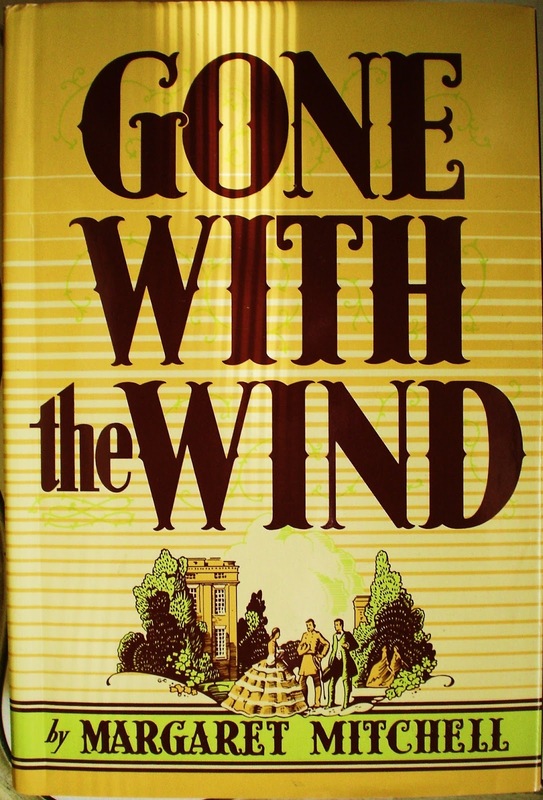 Gone with the Wind is known for being a long book. At over 1,000 pages, I can’t argue with that. 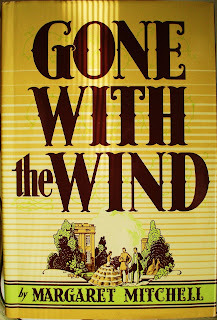 Yet despite its length, Gone with the Wind managed to keep up a good pace throughout. This was in no small part due to how surprisingly compelling the protagonist, Scarlett O’Hara, was. While I’ve always heard Gone with the Wind described as a romance novel, I’m inclined to agree with those who claim it is a bildungsroman. * Part of the reason the story is so compelling is the focus on Scarlett’s personal development and adaptation to (and fights against) the changing norms of the South during and after the Civil War. Even today, this is a delicate subject, and Mitchell’s rendering of the South of that time is worthy of comment. The novel is at times in love with the antebellum South, painting northern Georgia as a near utopia; at other times, it shows the South as being blinded by its own arrogance and dedication to tradition. Scarlett is a product of both the good and bad: she had a privileged upbringing and was spoiled by it; she had embraced the period’s ideals of womanhood and became trapped by it; she had the fierce pride of her neighbors and was destroyed by it. Scarlett is a complex figure. Though she tries to escape the social and cultural bonds that society has pressed on her, she can’t help but be a product of that same society. Published in the decade following the flapper-era and as men started to go back to work as a result of jobs created by the New Deal (while women were also employed, the majority of jobs for which they could apply were given to unmarried women and widows). Scarlett has a number of men in her life, most famously Rhett Butler, who flaunts his disdain for tradition and propriety. It’s this very quality of his that causes Scarlett to both admire and hate him. Their relationship is far from ideal for either of them and is marred by tragedy and conflict. The realistic flaws in the characters are a large part of what makes this novel so compelling. The focus on one of the defining periods of (then recent) American history certainly helped sales. Historical novels were also experiencing a peak in popularity (Edmonds’ Drums Along the Mohawk was in the top five bestsellers of the year in 1936 and 1937). A trend that would continue, including the bestseller of 1938, The Yearling, which takes place in the Florida backwoods in the 19th century. Whereas other bestselling historical novels of the time have been largely forgotten (e.g. Anthony Adverse), Gone with the Wind is still popular almost 80 years after publication. The 1939 film version starring Vivien Leigh and Clark Gable is in no small part responsible. 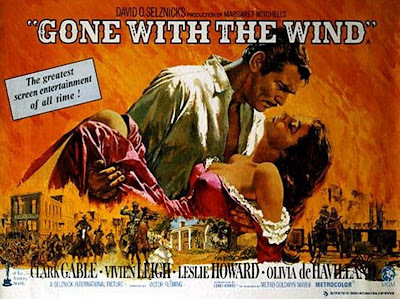 A classic, Gone with the Wind is ranked 6th on the American Film Institute’s top 100 films list, and was in the first group of films preserved by the National Film Registry. But while the film version has helped the novel remain popular, the novel’s own strength is largely responsible as well. It’s a long book, but if you have the time and patience, it’s certainly worth a read. *For those non-English Majors: a bildungsroman is basically a coming-of-age story where the focus is on the protagonist’s personal growth. In Gone with the Wind, there is no over-arching objective (e.g. defeat the bad guy, win the love interest’s heart) beyond Scarlett’s development as a person. Some notable examples are Salinger’s Catcher in the Rye or Joyce’s A Portrait of the Artist as a Young Man. William Faulkner - Absalom, Absalom! It would seem the Hobbit started out only with a cult following.